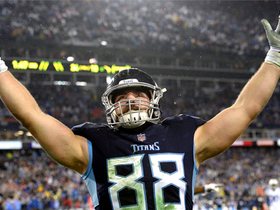 Matt Hasselbeck vs. Jake Locker: Who should start for Titans? Published: July 19, 2012 at 03:56 p.m. Updated: Sept. 13, 2012 at 01:25 p.m. 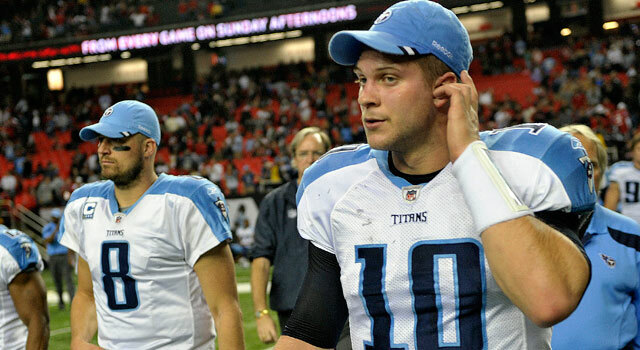 While Matt Hasselbeck (left) enjoyed some fine performances last season, Jake Locker showed great promise. Do you pick the winner of a quarterback competition based on production or potential? That is the question floating around Tennessee Titans meeting rooms when assessing the team's two starting options: Matt Hasselbeck and Jake Locker. Hasselbeck is on the downside of his career at age 36, but still displays enough skills to be an effective starter. He excels at managing the game from the line, relying on his keen understanding of defensive fronts and coverage to exploit vulnerable areas of the opponent's scheme. With 147 career starts under his belt, Hasselbeck has seen every conceivable tactic and developed an effective counter attack. As a result, he plays winning football at the position, which is reflected in his .530 winning percentage as a regular-season starter and five playoff wins. From a physical standpoint, Hasselbeck still possesses above average arm strength and velocity. He is fairly consistent with his accuracy/ball placement and has the capacity to make all the throws from the pocket. While he is certainly at his best when working the short and intermediate areas of the field, Hasselbeck is not afraid to take his chances on vertical routes. He finished 2011 with 10 completions of 40-plus yards -- the eighth-highest total in the NFL. Although occasionally poor decision making and durability issues rank as concerns, Hasselbeck remains a solid quarterback prospect. Here are three ways the Titans take advantage of his skills. Hasselbeck spent 12 years operating variations of the West Coast Offense with the Seattle Seahawks and Green Bay Packers, so he is at his best when executing timing-based throws following three- and five-step drops. 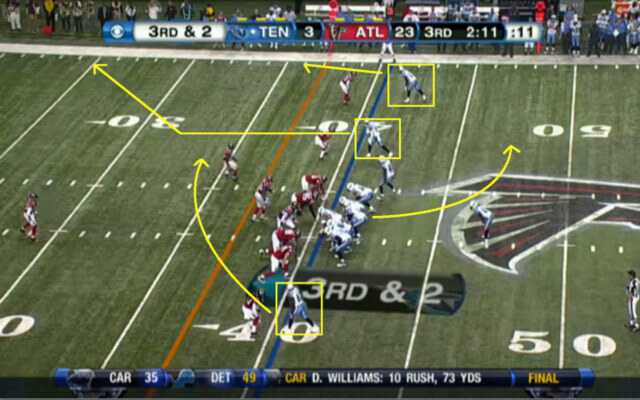 While the Titans' offense features different route combinations and concepts, the system is predicated on the quarterback delivering the ball on time from the pocket. Hasselbeck has the capacity to operate with surgeon-like precision when in rhythm, and offensive coordinator Chris Palmer provides him with plenty of opportunities by featuring a variety of timing-based routes. Click here to watch full video of the play. 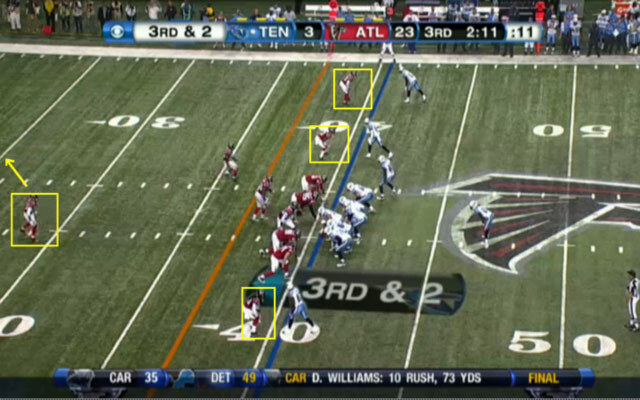 The presence of Chris Johnson in the backfield forces defenses to commit extra defenders to the box. 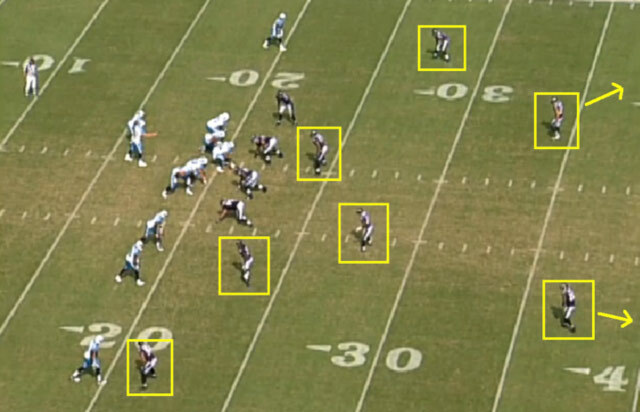 The Titans love to exploit this tactic by running an assortment of play-action passes with deep crossing routes featured in the progression. 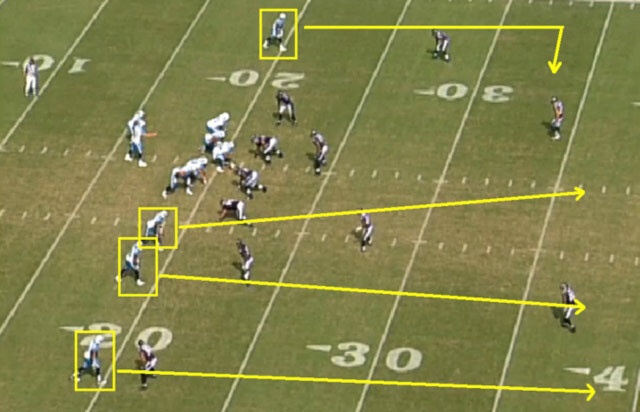 The combination of run-fake and vertical crosser makes the play nearly indefensible when the quarterback anticipates the open window on the opposite side of the field. Hasselbeck excels in this area. 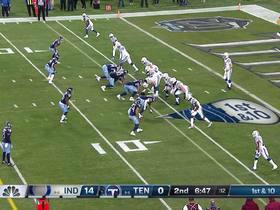 Take a look at the video to your right to see Hasselbeck connect with Nate Washington for a 23-yard touchdown on a deep crossing route off play action. It is not a coincidence that Cook enjoyed a breakout season with Hasselbeck at the helm. Hasselbeck understands the impact of a legitimate threat over the middle of the field, and started to target Cook to combat the two-deep coverage used by opponents to take away the deep ball. Hasselbeck took advantage of the tight end's superior speed and athleticism. He is too fast for linebackers in space (Cook clocked a 4.50 time in the 40-yard dash at the 2009 NFL Scouting Combine), and his exceptional size (6-foot-4, 248 pounds) makes it difficult to assign a defensive back to him in isolated matchups. Click here to see video of a play that perfectly highlights Cook's speed and athleticism. 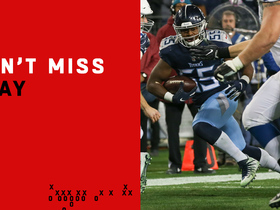 With Cook slowly mastering the art of posting up defenders in traffic, the Titans started to feature him prominently in the game plan down the stretch. As a result, Cook tallied 21 receptions for 313 yards and a touchdown over the final three games of the season, emerging as an intriguing playmaker for the team. With Britt possibly sidelined at the beginning of the season, Cook could become the designated playmaker with Hasselbeck running the show. Locker surprised many observers with his solid performance in four game appearances in 2011. He completed 51.5 percent of his passes for 542 yards and four touchdowns -- with zero interceptions. Although his completion percentage falls below the acceptable standard for NFL starters, Locker's ability to avoid turnovers and generate positive plays is certainly encouraging. However, it was his improved footwork, mechanics and passing skills that were most impressive to me. Locker is a terrific athlete with the size, speed and agility to create problems on the edges. He scares opponents with his ability to run, which creates open windows on the second level behind nosey linebackers. In addition, the rolling pocket chops the field in half, making it easier for Locker to read the coverage and find the open receiver. Locker's athleticism and running skills will certainly encourage Palmer to call some predetermined quarterback runs to temper the defense's aggressiveness against the run and pass. 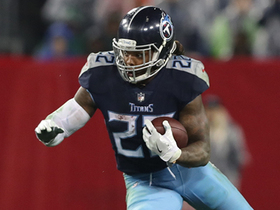 This will not only improve the Titans' passing game due to Locker's ability to thrive as a dual-threat on the perimeter, but it will make Johnson a more effective runner due to the threat of the bootleg forcing the backside defender to stay at home. When Johnson was at his best in 2009, it was the running threat of Vince Young that contributed to his success. Locker provides the Titans with a similar threat, but his superior passing and playmaking skills could lead to better overall production from the offense. Watch the video to your right to see Locker on the move. As I broke down Locker's tape, one thing that stood out to me was his effectiveness running the no-huddle offense. He appeared at ease operating at a quickened tempo, and the offense certainly responded well. 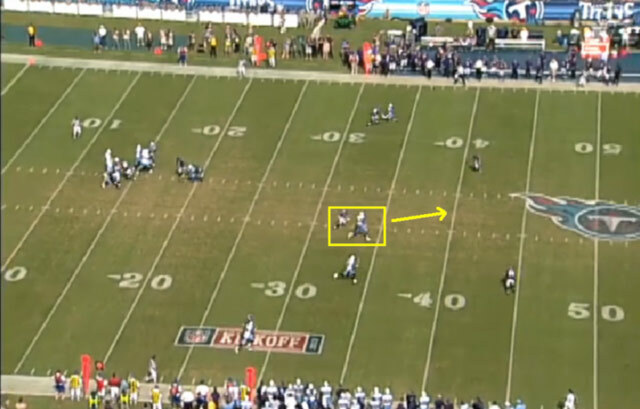 Although the Titans' always jumped into the no-huddle due to the score and situation, it is worth noting that Locker consistently moved the ball against every opponent utilizing the approach. With most defensive coordinators opting to scale back on blitzes and exotic coverage against the no-huddle due to the inability to substitute, Tennessee should consider regularly employing the tactic with a young quarterback under center. The Titans are opening up the quarterback competition to give Locker a legitimate opportunity to win the starting job. Still, I would open the season with Hasselbeck at the helm. The veteran's experience will be needed against a daunting schedule that features heavyweight battles against four playoff teams (New England, Detroit, Houston and Pittsburgh) in the first six weeks of the season. However, Locker's athleticism and improvisational playmaking skills are undeniable. He should be on the field at some point in 2012. Young quarterbacks have been surprisingly effective in recent years, and the Titans should see if Locker will follow the trend.